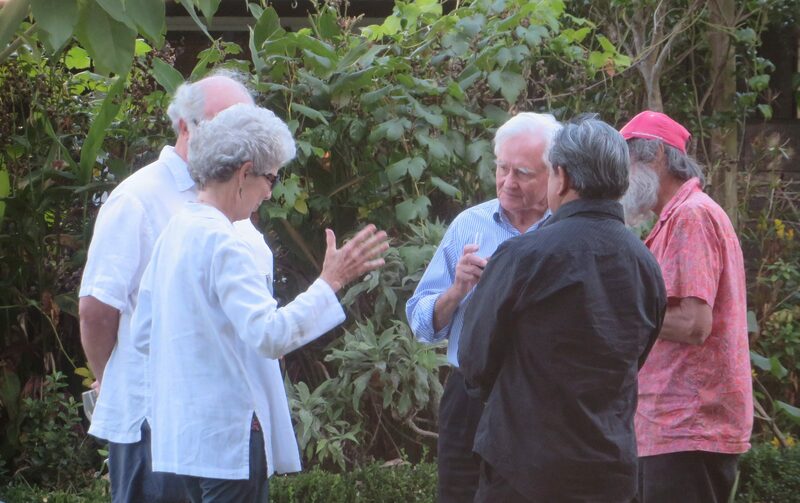 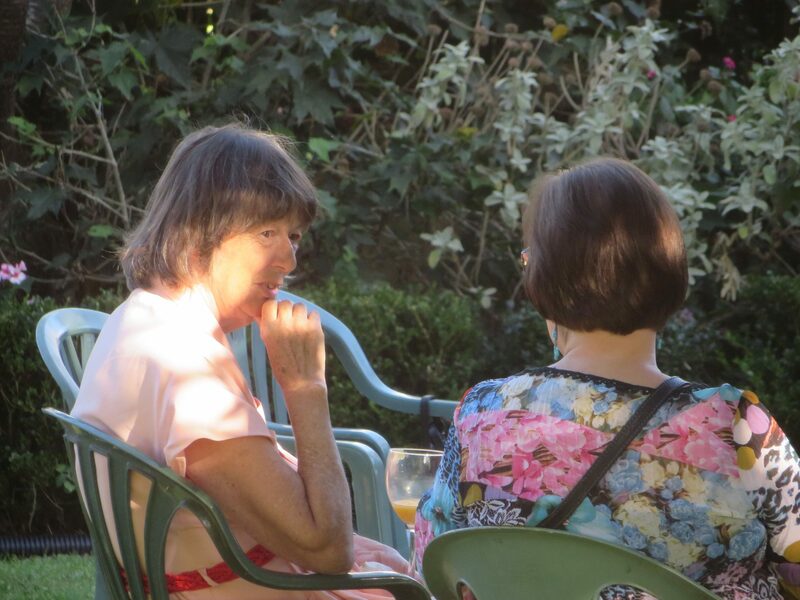 Kinder House was the perfect setting for our Garden Party held last Sunday. 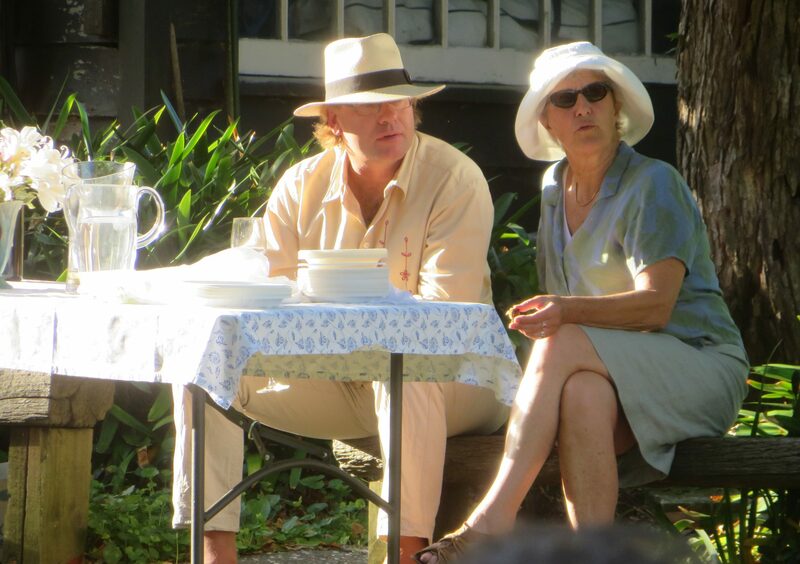 The weather was glorious, the garden shady and cool, the food never-ending, and the music sublime. 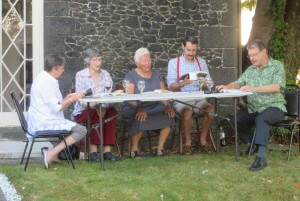 Many thanks to Margaret Barriball and friends who sang madrigals during the afternoon, and to Audrey van Ryn and her sister Hazel, for their beautiful flute airs. 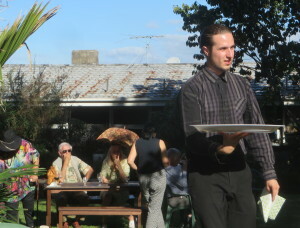 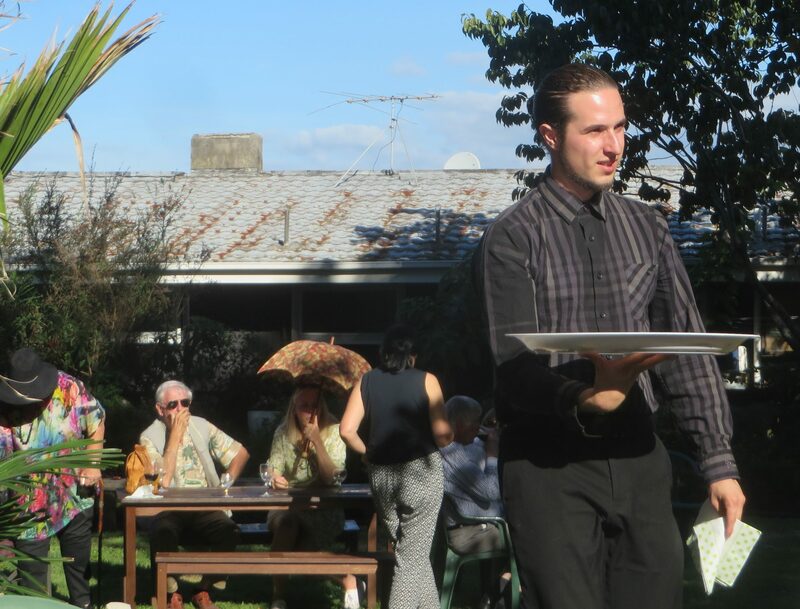 Superb food was provided by Women’s International League for Peace and Freedom Aotearoa, and delivered by waiter Rouan van Ryn. It was very relaxing way to spend the late afternoon and early evening in such a beautiful setting, only metres away from the hurly-burly of Auckland traffic. 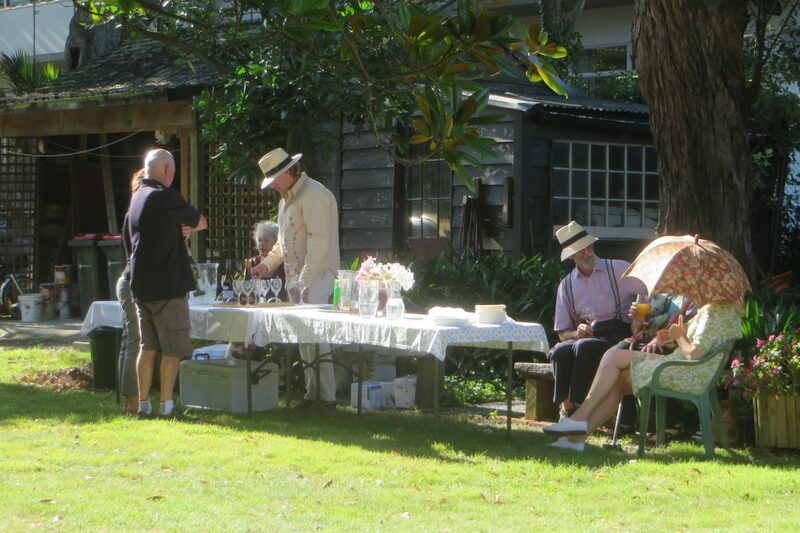 These magnificent gardens that surround our heritage buildings are such important assets to the city.